FRAMINGHAM – Massachusetts Education Commission Jeff Riley toured Fuller Middle School this morning, along with City Council Chair Dennis Giombetti. The two had the opportunity to see students during Massachusetts STEM week. 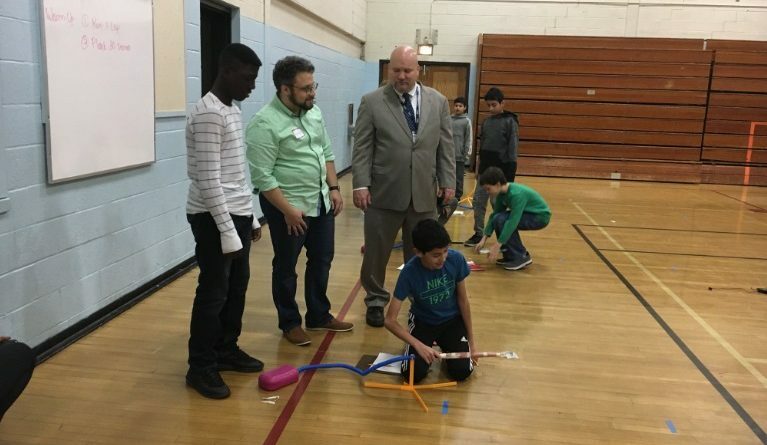 Fuller Middle School implemented a new school-wide STEAM program this week. Source will have a report with photos on Thursday. Photo courtesy of Fuller Middle School Principal Jose Duarte.